Filej d.o.o. is a family company founded 1990 as the continuation of a craftsman's workshop of the same name. The seat of the company is in Zagreb, CMP Savica-Šanci 153. At the moment we employ 8 workers, with qualifications ranging from highly qualified tool-makers to graduated mechanical engineer. The whole activity is based on single piece production i.e. exclusively on order, whereby the projecting, construction, technology and the production and all types of control we do 100% by ourselves. In our work we use the approved standards and prepare a quality regulation for getting a ISO 9001 certificate. The basic activity of the company is the production of tools for the industry and handicrafts i.e. : punching, cutting, bending, forging, pressing and forming as well as the use on special machines. The types of tools comprise the simplest tools for punching and bending to complicated tools for complete cutting, multi-step tools including different bendings, forgings and forming and the so-called tunnel punches for the production of labels in paper resp. printing activity. 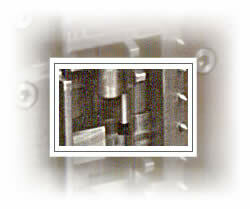 Besides the production of tools, we can offer the projecting of the production process for an article - from the machines and optimal machine layout, tools and operations, planning of material purchase, work preparation, all productive operations with continuous quality control - up to packing and delivery, including solutions for problems with waste, work safety and training of workers and quality documentation. We can also accept a small-serial production with tools of our make, which includes the tool maintenance during use of tools. For all the mentioned we can assure prompt service, maintenance and overhauling in order to reduce the losses in production of our customers. This covers the tools of our production, as well as the tools of other makers if - based on our evaluation - the operations and documentation make it possible. Eventually free capacities we mainly use for services i.e. erosion with wire and electrodes, erosion drilling and measuring with 3-D equipment and hardness tests. Since we have within our activities a wide range of customers and suppliers, we can by our department for trade and representation offer our help or complete service in purchasing machines and equipment or some materials.